On Sunday, an Israeli police patrol car hit a five-year-old Palestinian girl in Silwan, after clashes erupted between Palestinian teenagers and Israeli forces. The incident occurred in the Wad Hilweh neighborhood and according to locals, the child was sent to a hospital with light injuries. 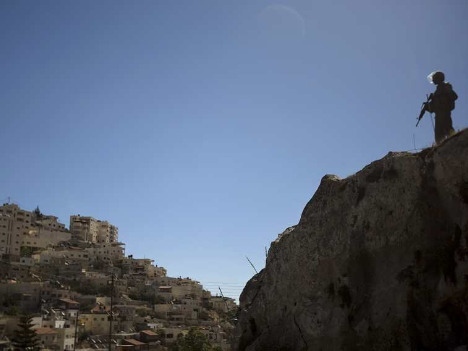 The Wad Hilweh Information Center reported that the incident happened just after a large number of Israeli police officers deployed in the neighborhood to issue an eviction order for the home of Abdullah Abu Nab, which was recently taken over by Israeli settlers. The invasion of police led to clashes between Palestinian teenagers and Israeli forces. In addition, the Israeli police detained several Palestinian youth and established checkpoints around the area on Sunday. Brothers Firas (25) and Anan (15) Shwieki were detained at the entrance of Wad Hilweh, and remained in Israeli Administrative Detention overnight.